A unique Fiji Island Resort, Navini Island Resort is a 6 acre gem located in the Mamanuca Islands only 30 minutes from Nadi airport. This amazing spot is a completely private island with one of the most beautiful underwater sanctuaries for snorkeling and diving. 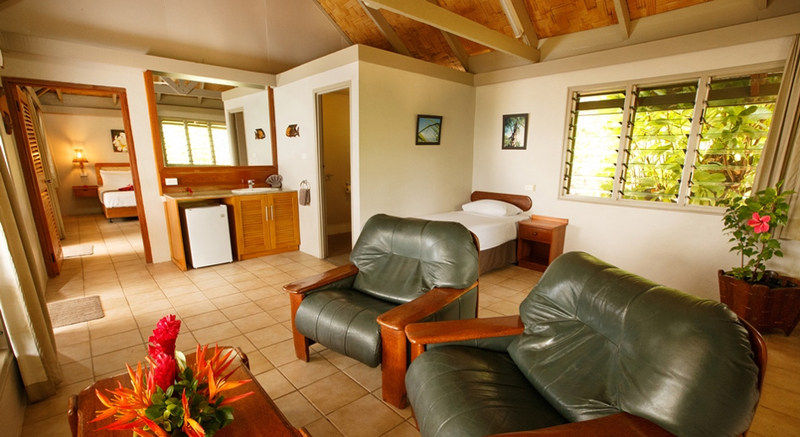 Navini Island Resort offers four different Bure types. All are beachfront with private bath, a queensize bed, refrigerator, minibar, overhead fans and tea/coffee facilities. The villa is more like a one bedroom suite with private living room and huge outdoor courtyard with shower, lounges and tables. A private spa is also part of this amazing Bure. The Deluxe Honeymoon Bures are also well equipped with separate bedroom and sitting room, opening to a private outdoor courtyard. Their 2 room Bure with spa is also quite spacious with separate bedroom and sitting room – which can accommodation two couples easily. Last but not least, the premier Bure is a lovely one bedroom Bure with beach front veranda offering views of the sea and gardens. Most activities are complimentary at Navini Island Resort. Island hopping, fishing, snorkeling and daytrips are all part of what makes Navini such an excellent value. The resort offers lovely low key entertainment with talented staff singers with guitars in the evening. Having Kava with the locals/staff is also a highlight and great way to get to know these wonderful people. Navini is a lovely location for a Destination wedding. With only 10 accommodations it is a perfect location to bring friends and family to join in the celebration. The island sells out months in advance so we recommend booking your destination wedding at Navini well in advance – at least a year when booking the entire island.